Pulling from their history, the limited edition designs pay tribute to the original "Life Guard Yellow" PowerLock design, a celebration of being made in the USA, being included in the Apollo 11 lunar landing gear, and more. 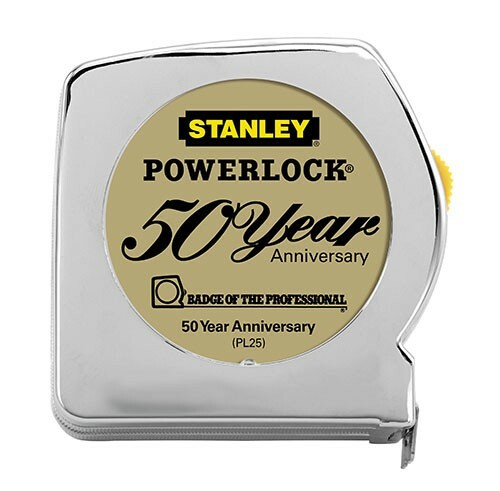 The classic D-shaped PowerLock® design was introduced in 1963 with the world's first coilable spring and sliding lock, which continue to be the core of modern day designs. In the 50 years since it was launched, the PowerLock® tape measure is one of the best selling tapes in the world. "We are excited to celebrate our heritage of innovation and proud of the fact it continues to be manufactured with global materials in the original plant here in New Britain, Connecticut, USA," said Tom Chang, Global Product Manager.